Tyga and his crew pulled up the to a Hollywood club that hosted festivities in honor of Floyd Mayweather's birthday. The partying was cut short for the rapper when he got into a fight which led the Sunset Room's security to kick him out of the venue. The altercation and his expulsion were caught on video. Watch the clip below. 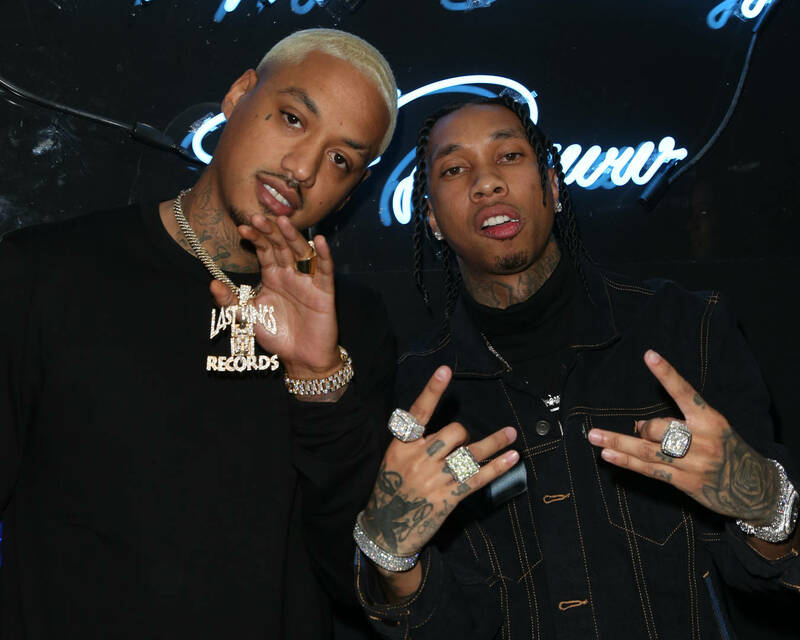 Apparently, one of the event's guests posted up to Tyga and the pair's argument became physical. The subject of their disagreement and its subsequent escalation remain unclear. Sunset Club security reacted fairly quickly. One of the bouncers dragged Tyga out of the building as the entertainer repeatedly called for everyone to "chill out." The rapper was still heated. His entourage and bodyguards seemingly attempted to diffuse the negative emotions but Tyga reached for his security's gun. Onlookers can be heard exclaiming in surprise, "He has a gun!" The firearm did not leave the holster, however. His crew eventually convinced him to leave the whole ordeal while onlookers yelled pleas towards the group, telling the entertainer that the fight wasn't "worth it." As Tyga walked towards his ride, one of his associates, AE, yelled at the cameras. "Take your f*cking cameras off. This some real sh*t," he shot at the witnesses.